I was supposed to study in Singapore. Yeah, that small sunny island near Malaysia. I have enrolled for the class in Raffles Design Institute to study Graphic Design. Due to some complications, I cannot study there. Sigh. My parents has forbid me to study there. I guess they have their own reasons. I won't question them any further. Although I am devastated. I am also devastated by the fact that my close friends are going overseas to study which I mentioned in my previous post. Anyway, my parents has decided to enroll me to Bunka instead. 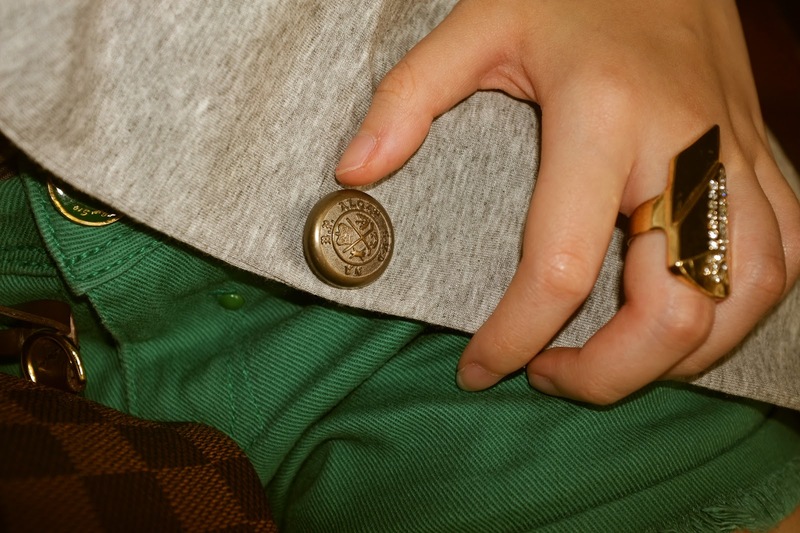 It's some kind of a subsidiary of the famous Bunka Fashion College(http://www.bunka-fc.ac.jp/index.html). But the counterpart located in Indonesia is not exactly a college but it will suffice. As a child, I cannot be ungrateful towards my parents. So I did not complain and gladly accepted their decision. When I was enrolled to Bunka, I had mixed feelings. I was a bit sad and at the same time a bit cheered up. I was sad because I cannot enroll to Raffles Design Institution. I was cheered up because it made me realize, I could learn how to make clothes. Basically I could be making pieces for my outfit in the future. Life does give you choices. I can't be sad forever, right? So far, my life in Bunka has been quite wonderful although I might be progressing rather slowly(blame my silly fingers). One thing I notice is that Bunka does have its share of design student from other schools. It does have its own share of fashion bloggers too. Anyway, Thank you guys for being here always. It made feel better. That is amazing that you get to study fashion and design. Love your green shorts and how you styled it. hi cath, I've followed your blog.. mind to follow back? wow. your blog is very interesting. i love your outfits. they are very great! waa first time hear about bunka! really love your lace top! ♥ ♥ love it love it. Stunning hope you'll love those classes ! anyways, wanna follow on facebook and twitter ? that's great! and your outfit is gorgeous! I like your collar! Such a cute look you've put together! what a wonderful post! your blog is amazing! I want to go to USA real bad, but for some reason, i can't. I know your feeling, it's really tough to accept it. Sorry to hear you won't be studying in Singapore like you'd hoped. But i'm sure Bunka will work out just fine too. Cheer up! Nice outfit! Love your shorts! 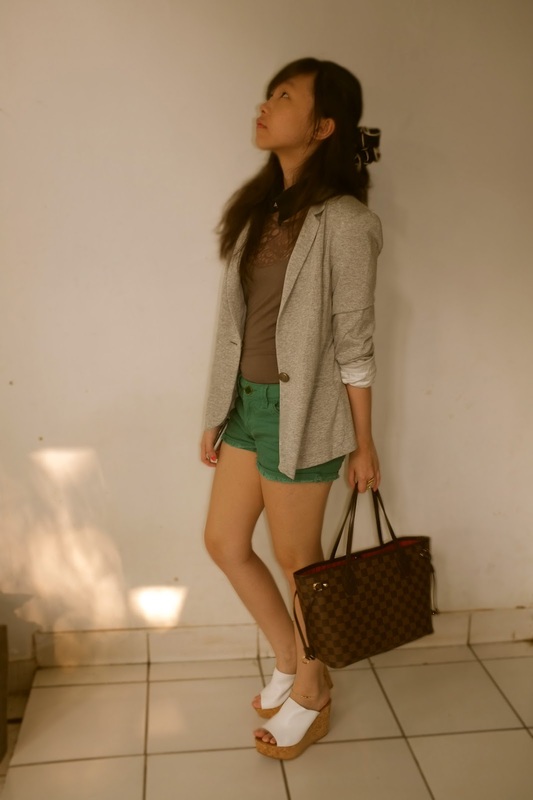 Really love your style,so chic,especially love that cool blazer and those colourful shorts! I am so sorry to hear that your Singapore plans fell through. I'm sure that plan B will be just as good. Great to know one more petite fellow blogger! Thank you for the nice comment! Following you! love your lace top! good luck in bunka! good luck with studying darling! you'll do great! nice post. great to know that you study design and your look is cute! Succes in everything you do. Looking cute! Good thing you're ok.
you could still visit Singapore :) we're just neighbors anyway! and good for you to study something that you're really passionate about! wow, so envy of you, you can learn about fashion for your future. oh gosh, you are so much well-dressed. Stunning! good luck for your education. Being in a school full of fashion, garment and design is great. You can channel your interest in a right place. Hi dear, Bunka is also great. I wish I could studied there :) Give your best shot! Follow your blog, mind to follow me, maybe via GFC? hihi. hey dear, yes the garage sale was in jogja! btw, the outfit that you wore, lovin it!! You look so polished and good luck with your studies. I can`t see you among my followers:).